Fires have flared up once again on concessions held by palm oil and logging companies in Riau province on the Indonesian island of Sumatra. Much of the affected area is peat forest, some of it being developed in violation of a ban on exploiting deep peatland, whose burning releases massive amounts of carbon dioxide into the atmosphere. 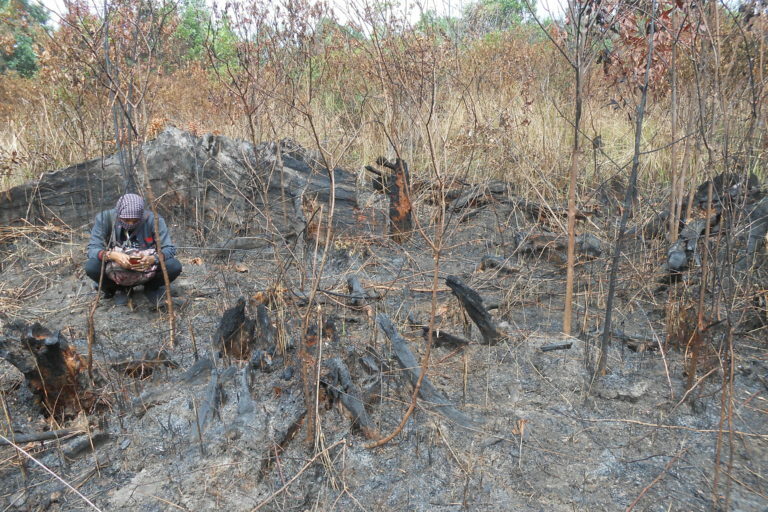 A failure by the government to collect on fines levied against the few companies prosecuted for setting fires on their concessions means there’s little deterrent effect for other companies that see slash-and-burn as the cheapest way to raze forests for plantations. JAKARTA — Oil palm and logging companies in Indonesia have come into public glare once again as another season of forest fires flares up in Sumatra. The presidentially appointed Peatland Restoration Agency (BRG) says hotspots on peat areas within designated concessions account for up to 40 percent of hotspots across all peatlands. None passed the compliance test, which looked at whether they were protecting areas of deep peat as required by law, and whether they had the proper infrastructure and equipment in place to prevent and put out fires. The worst-performing company was found to have complied with just 7 percent of its 122 obligations, while the compliance rate for the others ranged between 26 and 52 percent. Fires break out behind locals’ houses in the Kembung Baru village, Riau province, Indonesia. 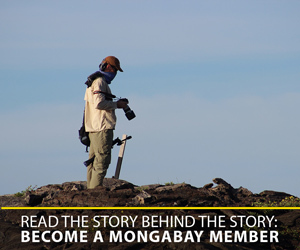 Image by Suryadi/Mongabay Indonesia. And without a centralized depository of court rulings, the ministry can sometimes lose track of the official court verdict. That’s the case for PT Bumi Mekar Hijau, a pulpwood firm that was ordered to pay 78.5 billion rupiah ($5.5 million) for illegally setting fires on its concession in 2014. 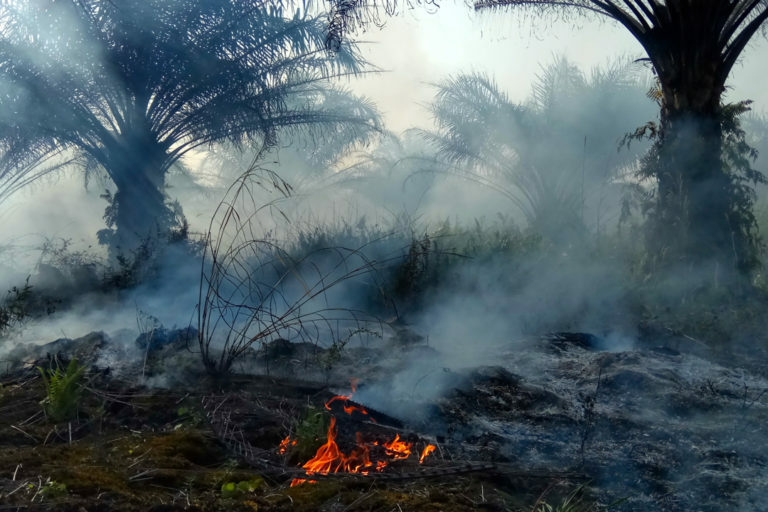 Banner image: Peat fires in Suka Damai village, Rokan Hilir district, Riau, Indonesia, have destroyed palm oil plantations, houses, cars and motorcycles. Image by Zamzami/Mongabay Indonesia.